Allegra Burnette is the Creative Director of Digital Media at The Museum of Modern Art, New York, overseeing the design and production for the museum's website, MoMA.org, as well as mobile devices, interpretive kiosks and digital displays. Online projects include two complete site redesigns, creating the online collection and audience-specific sites for teachers, teens, and kids, overseeing an ongoing series of award-winning exhibition sites, and extending the reach of MoMA’s content through iTunes U, YouTube, mobile, and elsewhere. Offline projects include lobby display screens and the launch of MoMA.guide, a series of interactive kiosks. Prior to working at MoMA, Allegra created and ran a media department at the renowned museum exhibition design firm Ralph Appelbaum Associates. She has an MFA in museum exhibition planning and design from the University of the Arts, where she has also taught graduate courses in museum media. 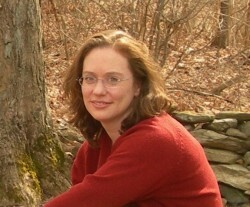 She currently teaches in the online graduate program for Museum Studies at Johns Hopkins University.